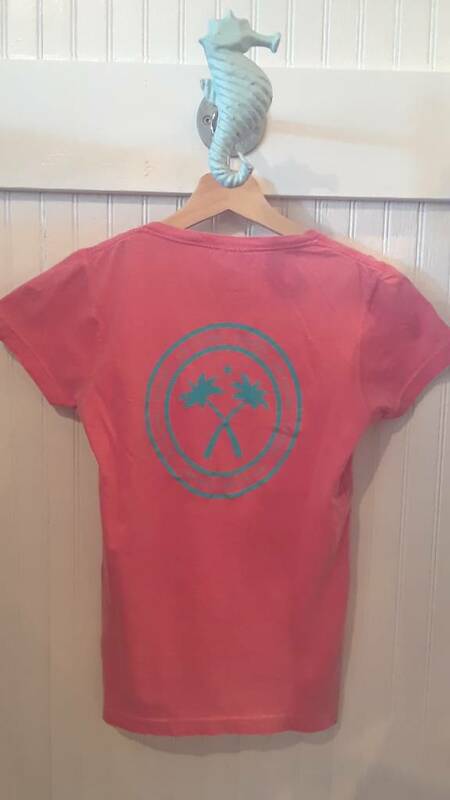 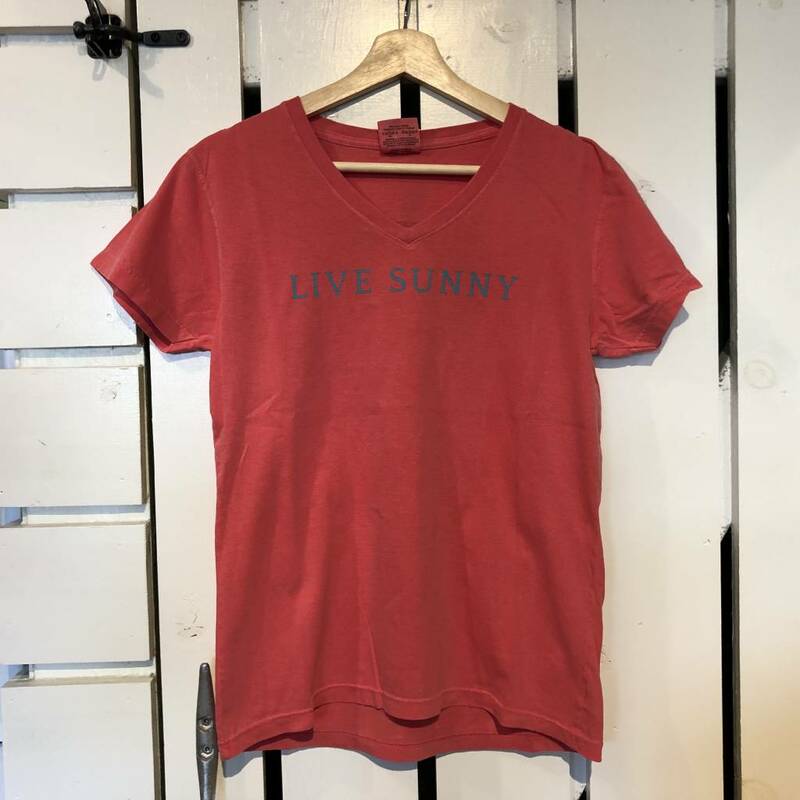 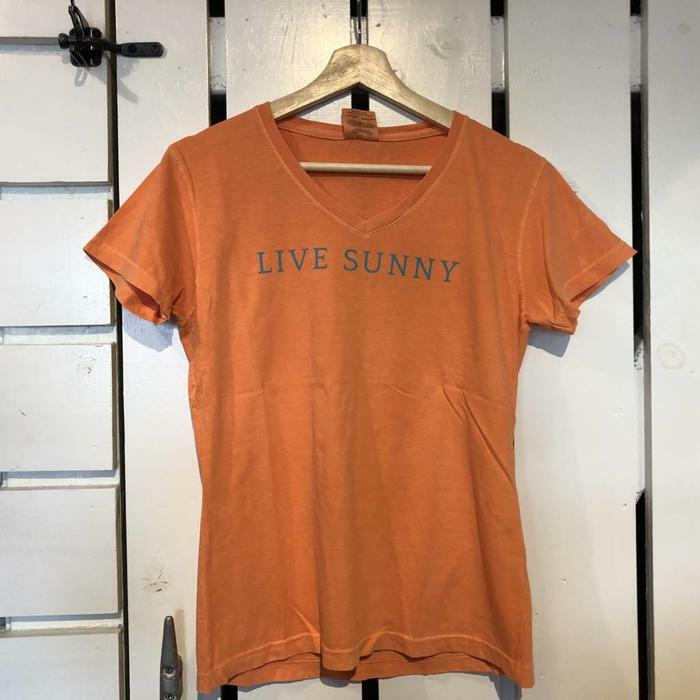 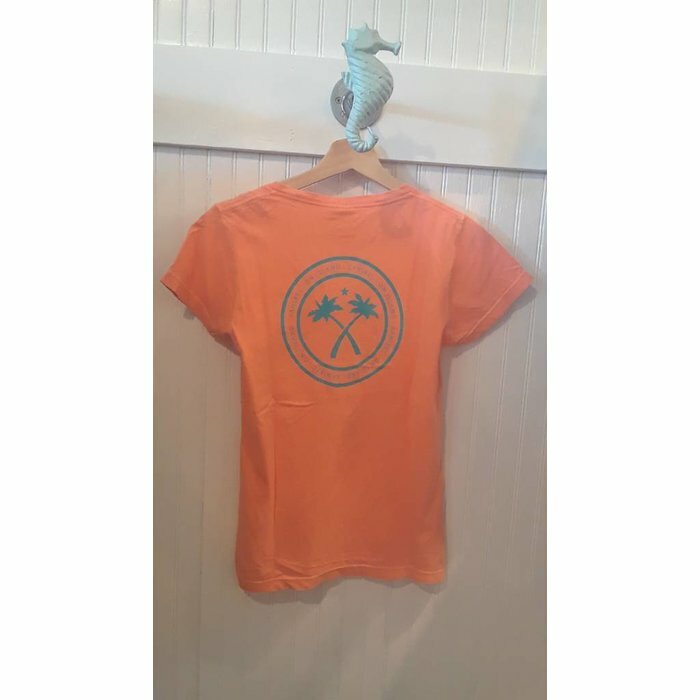 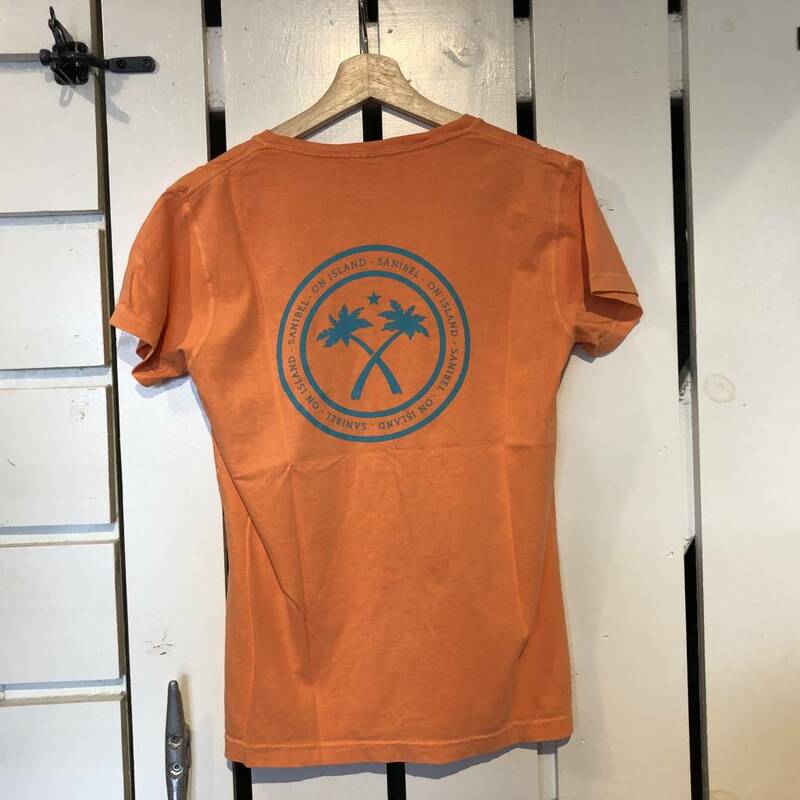 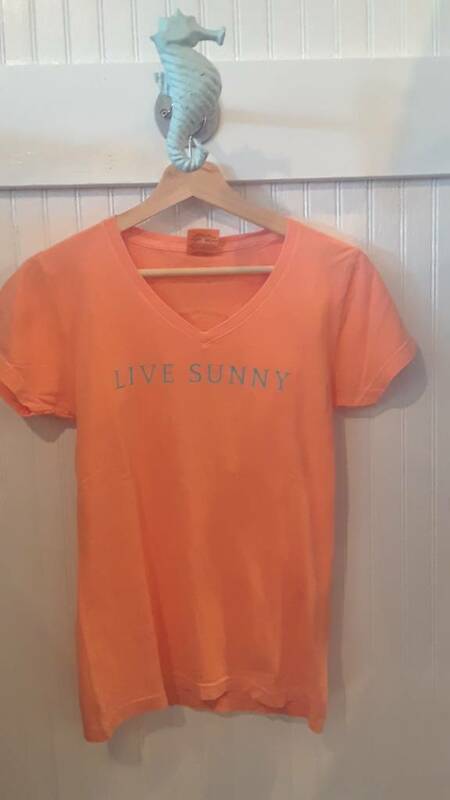 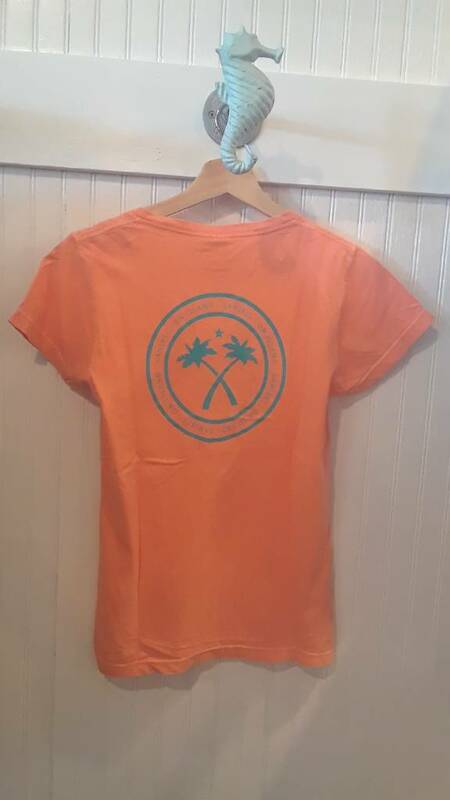 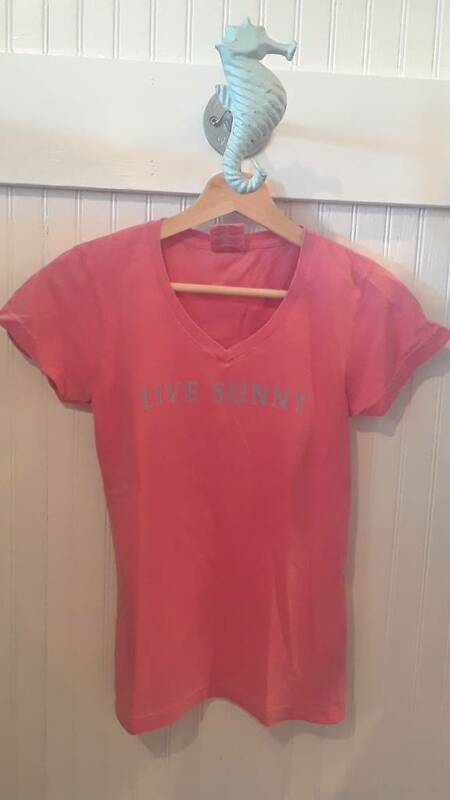 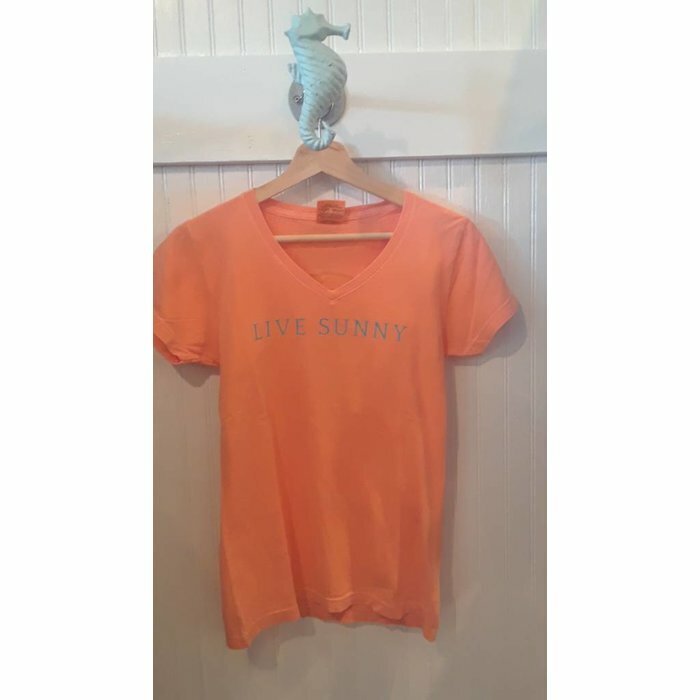 This vintage dyed v-neck shirt will help you live sunny every time you wear it! 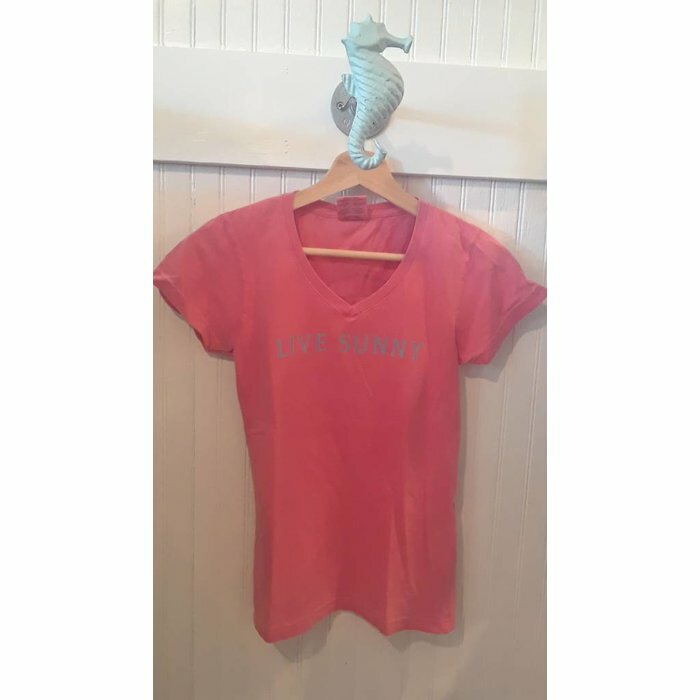 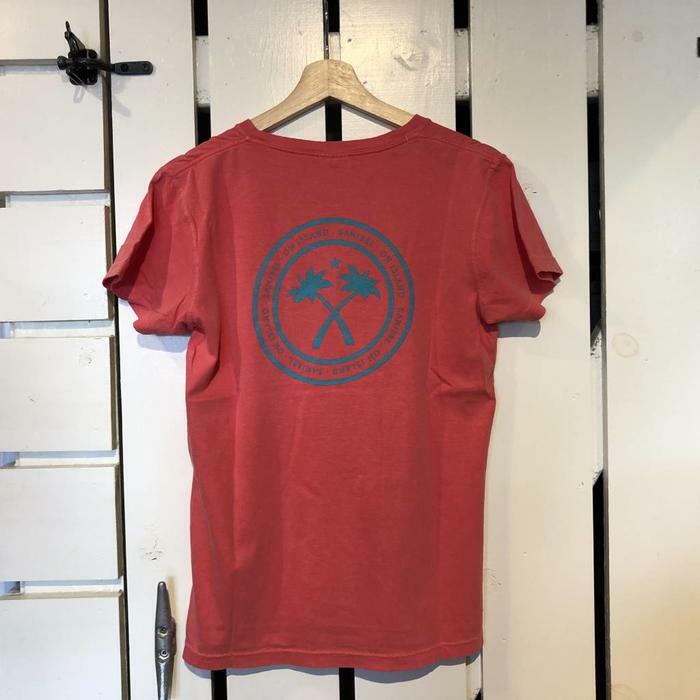 It has a relaxed but feminine fit and runs true to size. 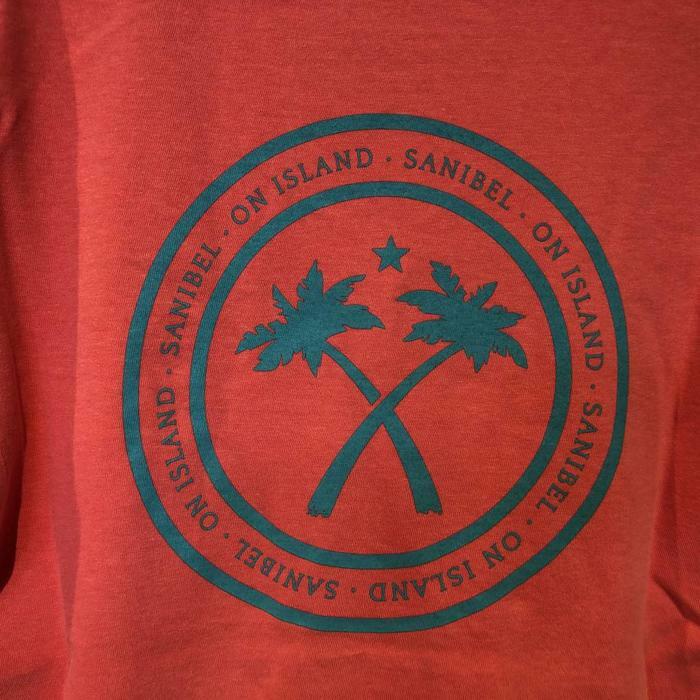 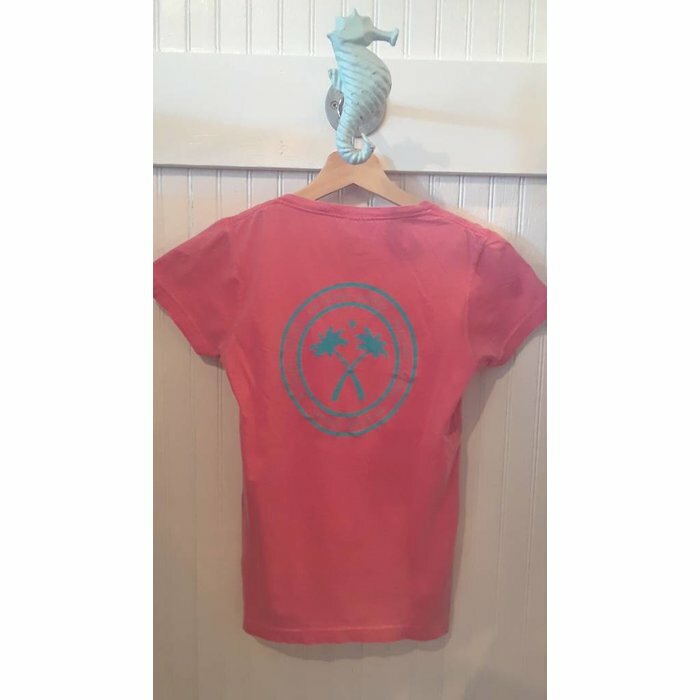 It comes in melon and watermelon both with the design in turquoise.